Having trouble solidifying your ISTE schedule? With over 1000 events in 4 days, narrowing down choices can be tricky. 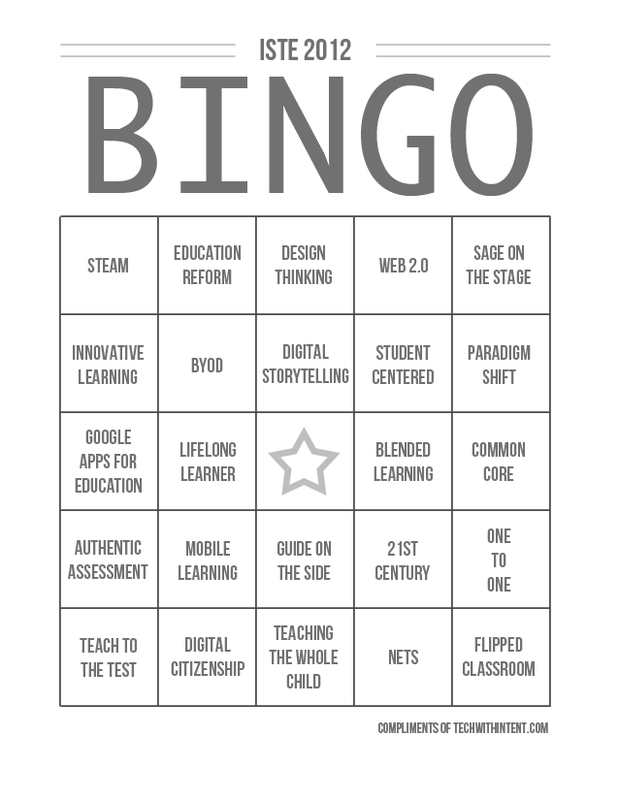 If this is your indoctrination into the world of edtech, try playing ISTE BINGO to ensure exposure to a range of current pedagogical philosophies. 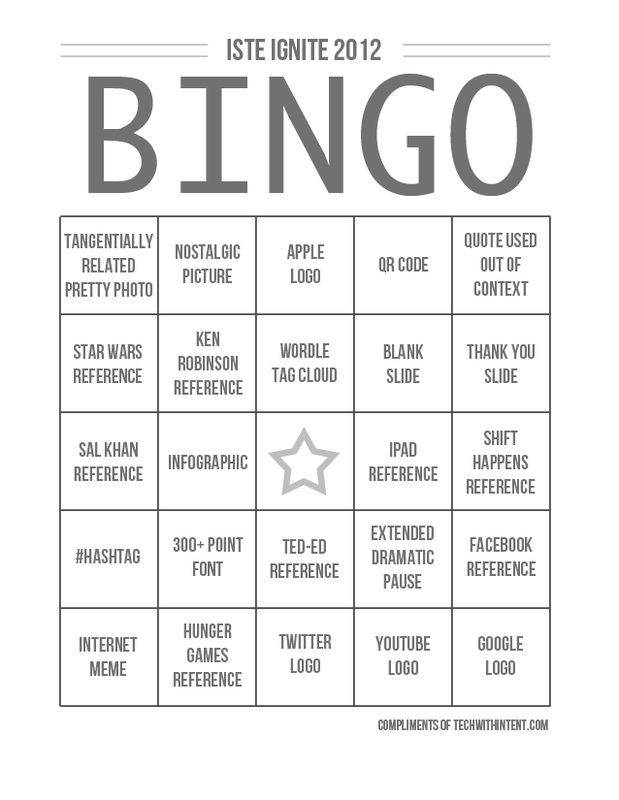 If you are an ISTE veteran, see if you can score BINGO in a single session by keeping an ear out for buzzwords. It may be possible to black-out your entire card over the course of the conference. For the ultimate win, try and find a vendor with a tagline that scores a BINGO. For those attending the rapid-fire ISTE Ignite sessions on Monday @ 8am and Tuesday @ 3:45, see if your presenters can hit the jackpot and score BINGO with this special ISTE Ignite 2012 BINGO card! Hilarious! I wonder what this year’s buzz words would be… Might be interesting to compare last years to this years and analyze the change in edtech over time.